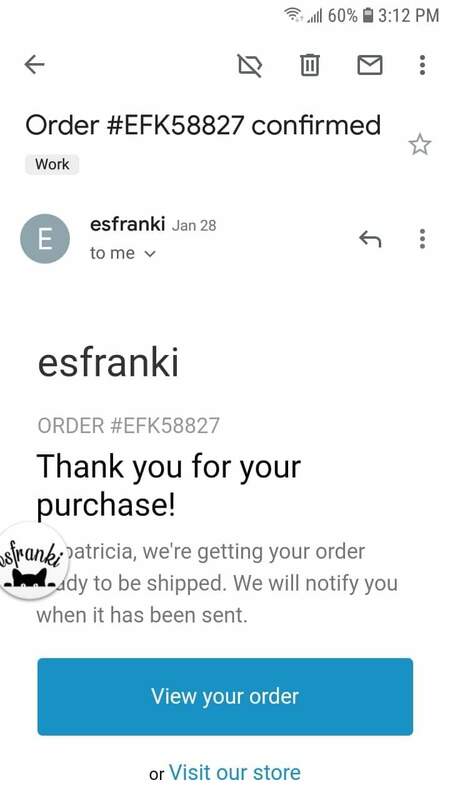 I ordered something from esfranki January 28th 2018 and I keep getting told by the company that it is on it's way and they sent me a tracking number but every day I look on the tracking page it's adds another 3 days for delivery. I have keep in contact with their Facebook messenger and all I get is it's on it's way call your postal service. And it has almost been a month in a half when it was suppose to be here with in 7 to 10 bussnines days! !